SEM Rush– SEM Rush is a comprehensive keyword, SEO and PPC competitor analysis toolstrong>. This tool helps you find profitable keywords for your website and to spy on your competitors SEO and paid advertising campaigns. Packages start at $99. per month and this is a tool used by many SEO professionals. Any type of service like hosting or high end SEO tools that charge a monthly fee and that people tend to stick with are generally winners. First cookie meaning that if you send somebody to the site from your affiliate link then you get credit even if they click on 10 other affiliate links after yours. 10 Year Old Cookie (The chances that somebody will not clear their cookies for 10 years is remote but it is nice to know that they have your back. Commissions are paid out twice per month via Paypal or wire Transfer. 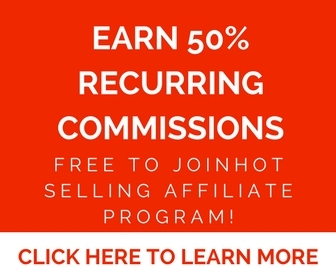 40% recurring commissions for every new user. If they take the top package of $399.99 per month you get $159.99 every month as long as your referral stays subscribed to the service. You can learn more about the SEM RUSH high ticket seo affiliate program here. The Hoth– The Hoth is an SEO and link building company out of St. Petersburg Florida. They provide high end SEO services for business such as surgeons and lawyers. SEO takes quite a bit of work. High Converting Sales Funnel and Follow Up. This is super important. You do not want to waste your time sending traffic to a service which does not know how to sell itself. 25% payouts. This may not sound like much if you have been selling ebooks on Clickbank but we are talking about services that start at about $400 and go up from there. They use both JVZOO and their own in House affiliate program. The JVZOO option sounds good with 70% one time up front commission but it is only good for limited products. Also you have to get approved for each individual product on JVZOO which most affiliates forget to do. See my article here on JVZOO. The in house seo high ticket affiliate program offers a generous 25% recurring commission on all sales. Keep in mind that SEO is a tremendous amount of work and they do it all so 25% recurring is an excellent deal. Very Good Customer Service. You want your customers to be happy and to keep purchasing services. I just got off of chat with their live chat window which pops up on their site with a real live knowledgeable representative. Pretty impressive. Thanks Cassandra! They have a mega seo package for $4000. Depending on which of their affiliate programs you use you could earn up to $2800. per sale! See here to learn more about The Hoth SEO services Affiliate Program. Seo Powersuite SEO Software– Go ahead and do a Google search for “SEO Software.” When I do the search I come across SEO Powersuite SEO software at the top spot in organic listings. Wow now that is putting your money where your mouth is. I cannot imagine a more competitive keyword except maybe “Viagra.” If you are going to look at some software to help you with SEO the SEO Powersuite people have serious street cred. 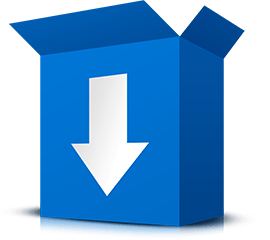 The SEO Powersuite software is an all in one platform to help both beginners and pros alike with rankings, on page, backlinks and reports all in one download suite of software. They offer a free version then a professional version for $299. then an enterprise version for $699. seo agencies who manage many clients and need white label reports. This may sound expensive but compare that to competitors such as Moz (who does not even have an affiliate program) and SEM Rush which charges up to $399. every month for similar services SEO Powersuite is a bargain at 299-$699. The website is beautiful, clean and very clear. It was very clear what they offered on the first page. Not as much with other SEO software services. I would love to see an in depth comparison of Moz, SEM Rush and SEO Powersuite. Food for thought for a later post. To learn more about the SEO PowerSuite affiliate program see here. This is just a short list of high ticket seo affiliate programs. If you have other high ticket seo affiliate programs that you would like us to know about please let us know if the comments area. If you found this article helpful please share on social media. Thank you!